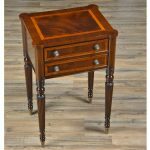 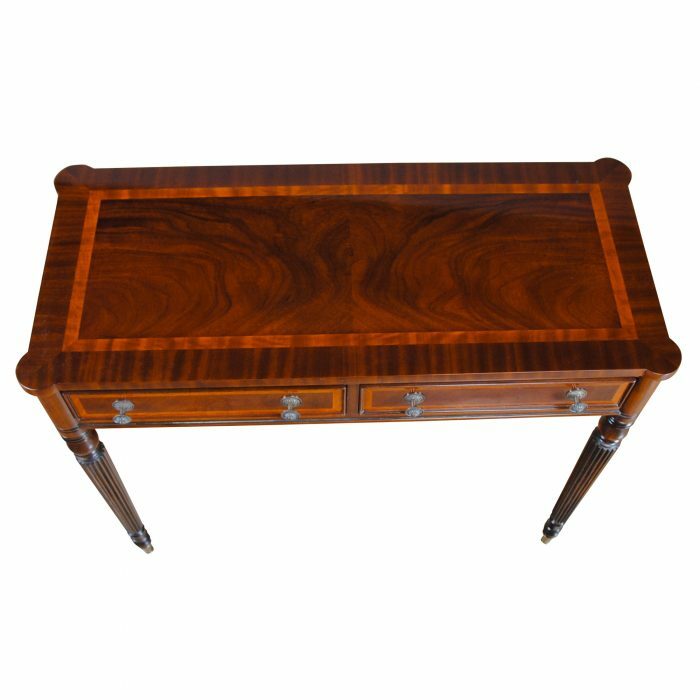 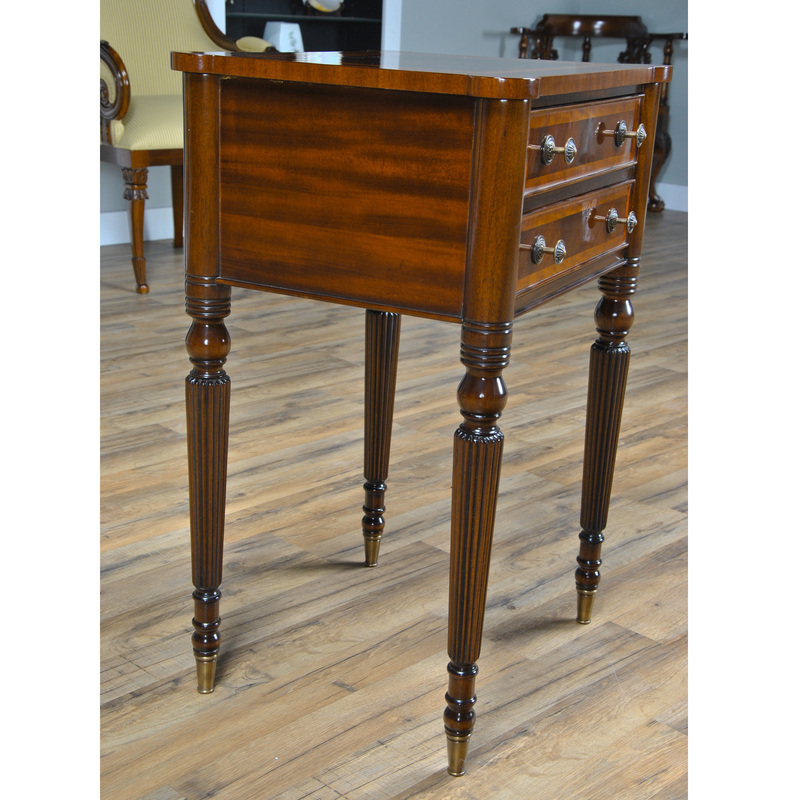 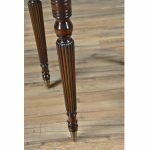 Our Sheraton End Table draws on a design first popularized by Thomas Sheraton whose work as a cabinet maker was very influential in Eighteenth Century England. 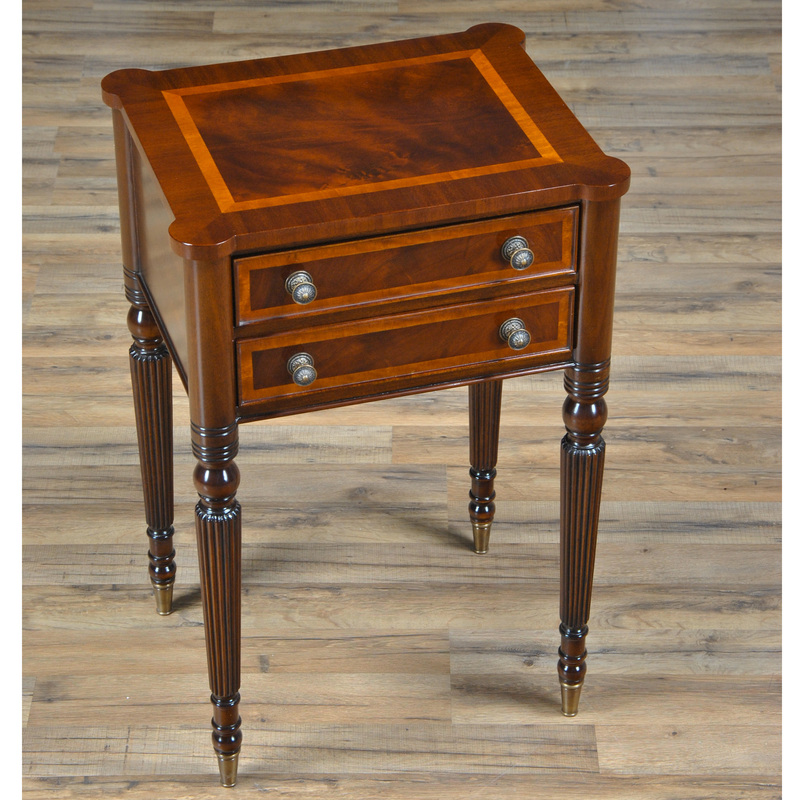 The Sheraton End Table has become the best selling end table at Niagara Furniture. 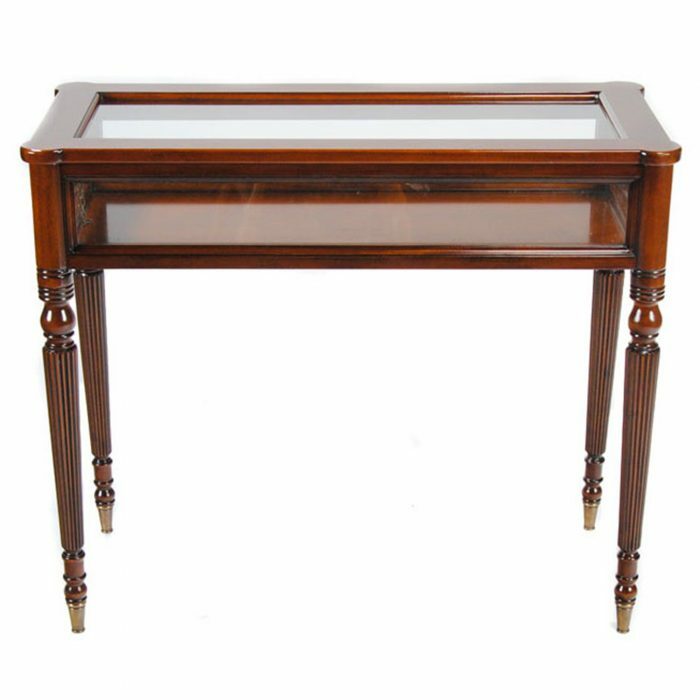 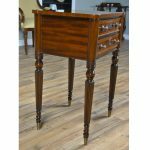 With it’s interesting and attractive shape the top is further decorated with satinwood and mahogany banding around a figural mahogany field. 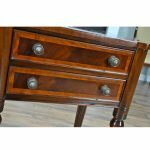 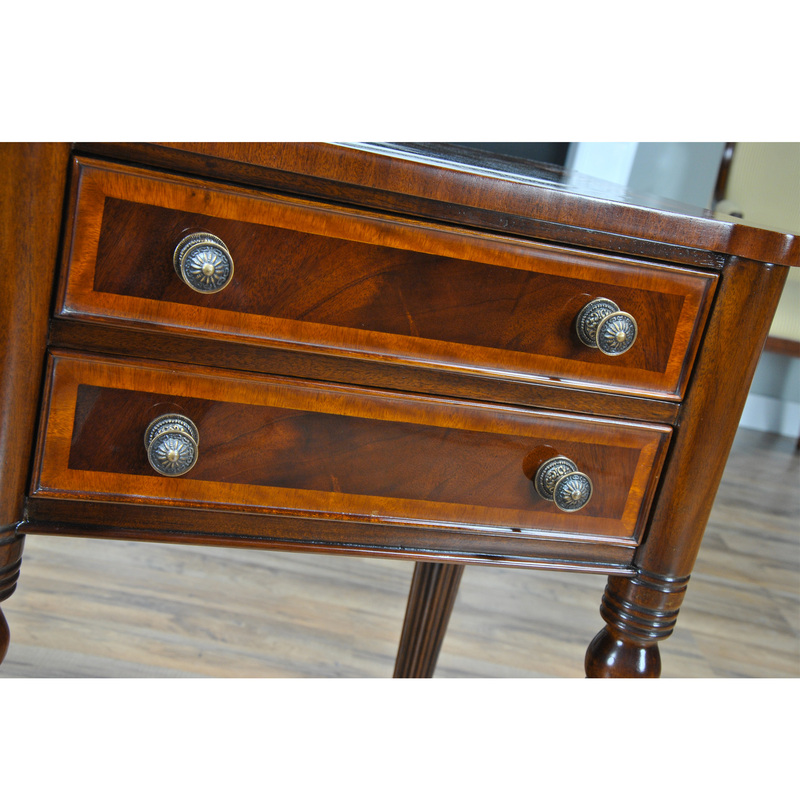 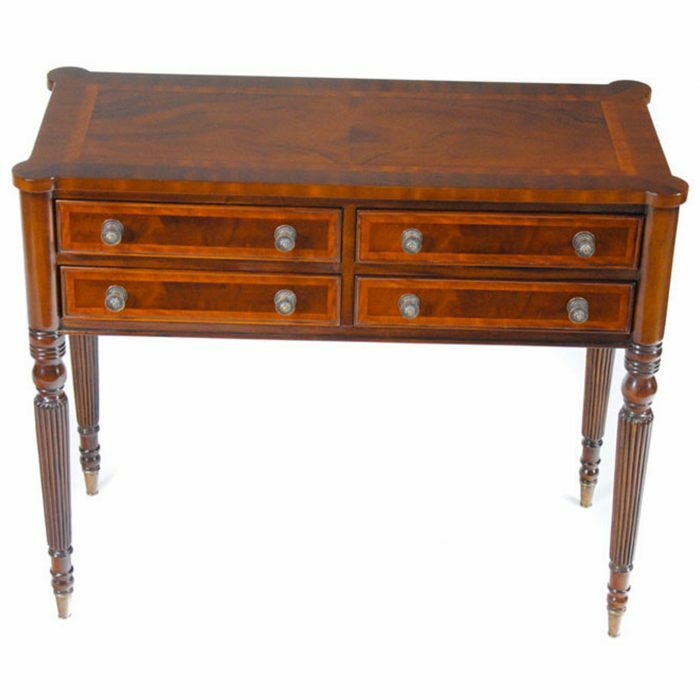 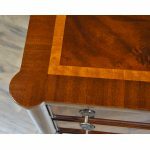 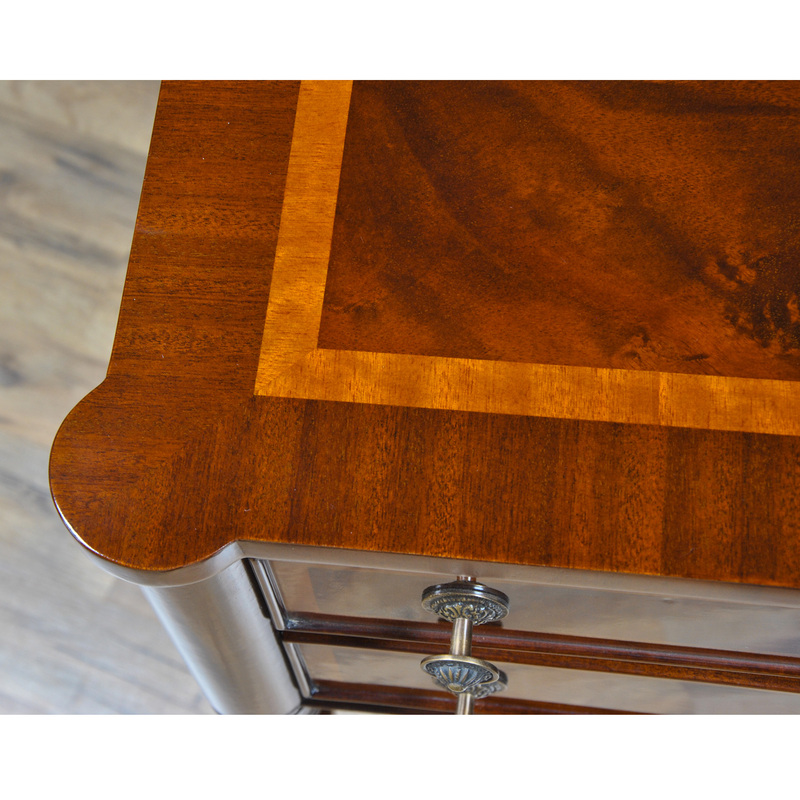 Similarly decorated the two drawers are dovetailed and feature finely detailed hardware of the finest quality. 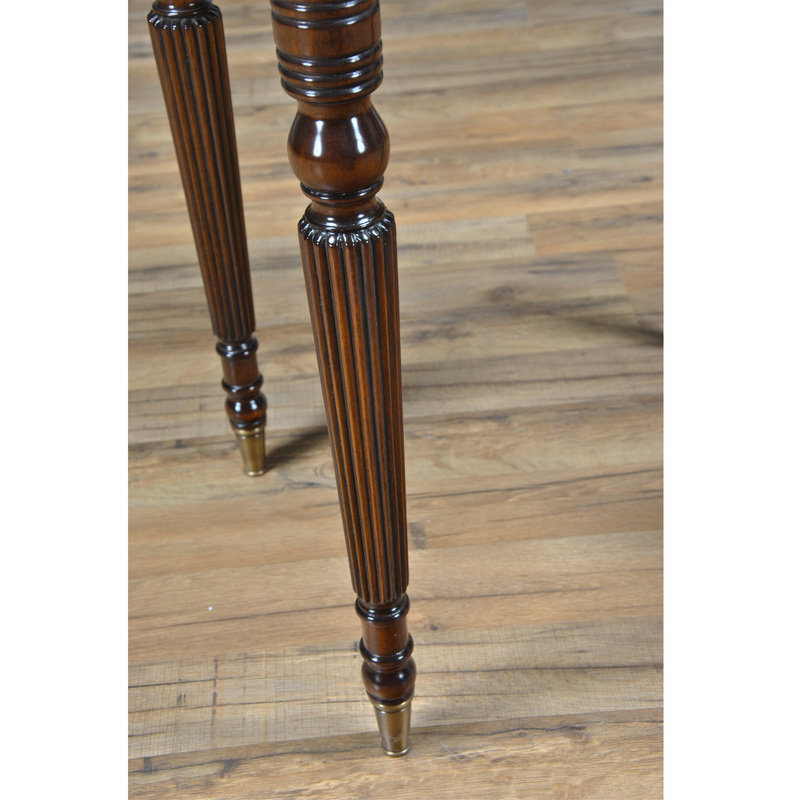 And all of this is supported on four turned, reeded legs ending in solid brass caps. 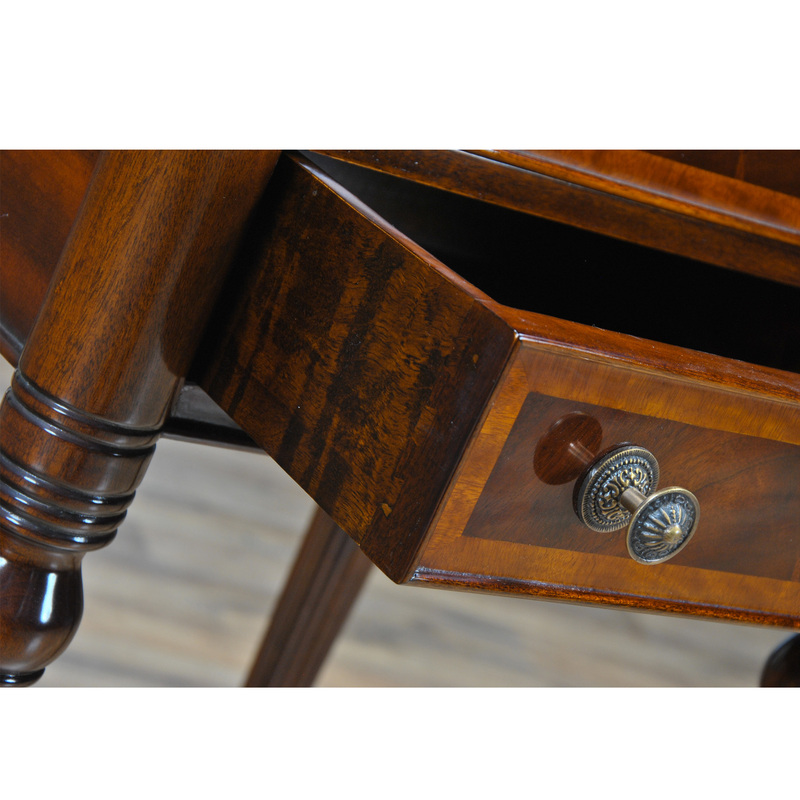 See the matching console featured below. 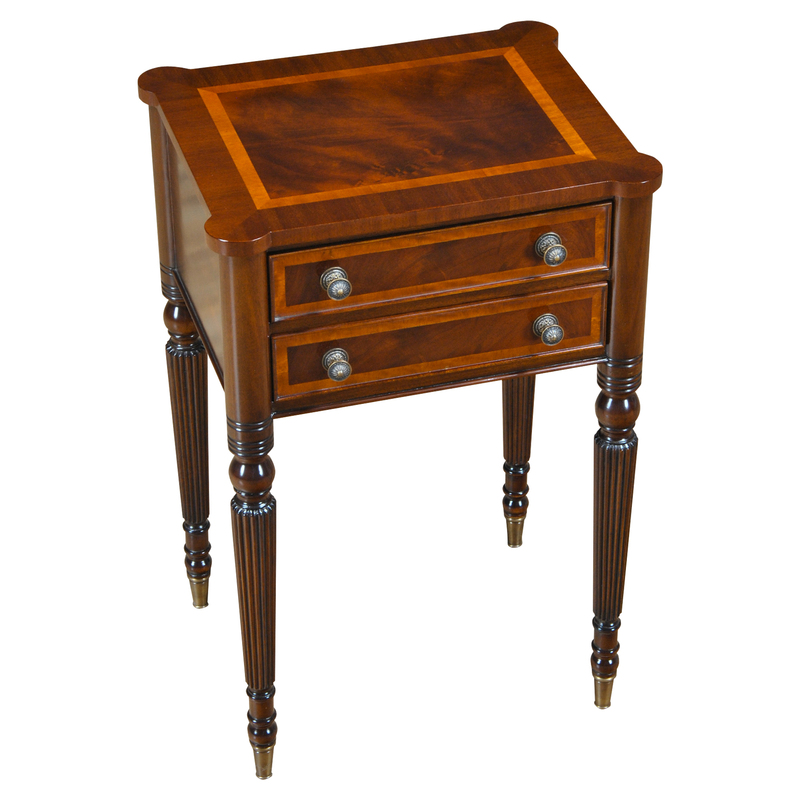 Also often used as night stands and in small spaces in hallways in the home.